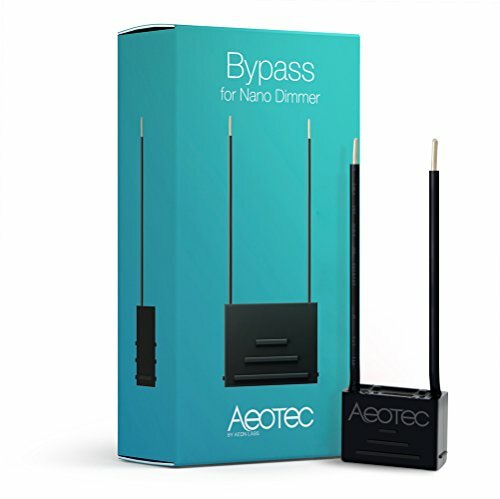 Aeotec Bypass has been designed for use with Aeotec's Nano Dimmer. It works with installations that are with or without a neutral wire and enables Nano Dimmer to dim and control super-low energy light bulbs including dimmable LED bulbs and compact fluorescent lamps that use less than 4 watts. When used in conjunction with Nano Dimmer it can help prevent your lights flickering when dimming your lights. Perfectly small but powerful, it measures less than 1 inch, it invisibly installs near your light fitting and takes up next to no space at all.